Use with all connector types, cord sets and assemblies to remove strain, vibration, flexture, or motion. Custom designed to mate with specially shaped or sized electrical connectors. 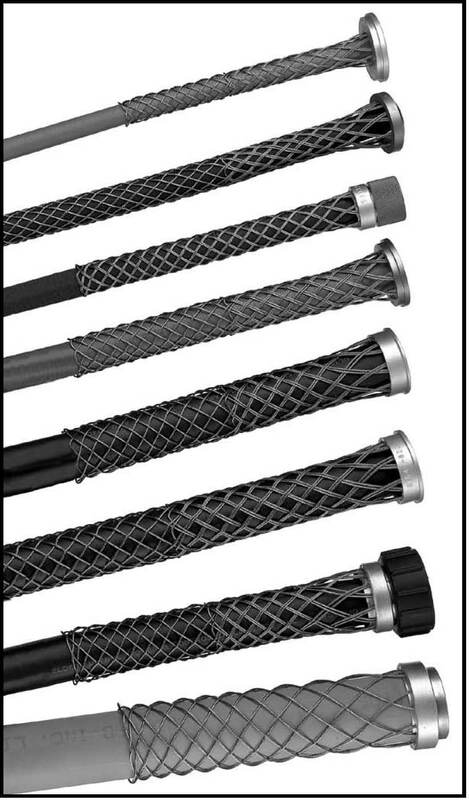 Eliminates direct tension from terminal, thus removing strain from critical electrical connections. Connector grips extend the life of electrical systems and add safety. Stainless steel grips are corrosion free. Prevents pull tension, thus reducing cable pull out and system down time. Can be adapted to any connector including fiber optic cable. Collars available in aluminum or stainless steel. 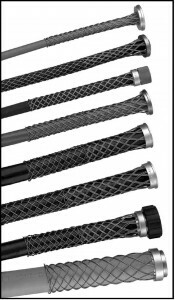 Multi-weave grip feature controls uniform arc or bend control.